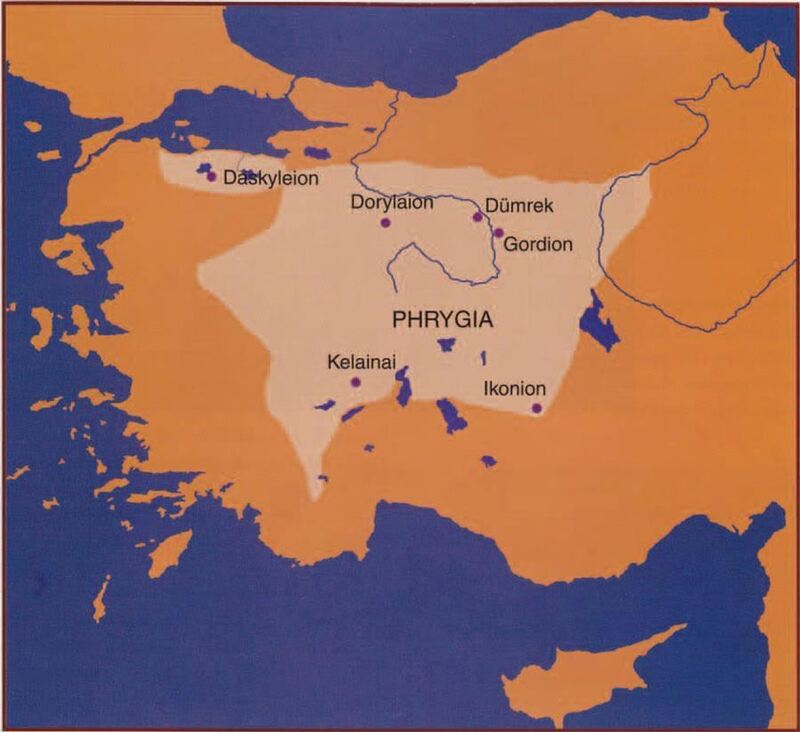 Phrygia lies in western central Anatolia (Asia Minor) between Bithynia, Mysia, Lydia, Pisidia, and Galatia. The cities were found in the valleys and high plains between the many high mountains of the land. The native Phrygians fell under Lydian, then Persian, then Macedonian rule. Greek and Macedonian settlers were planted in Phrygia by the Seleucids and Attalids in a mutual rivalry, but northern Phrygia was overrun by Celts (eventually it would become Galatia). After the defeat of Antiochus at Magnesia, Phrygia was assigned to the kingdom of Pergamum in 188 B.C., after which it became intensely Hellenized and first struck coins. Rome took control, along with the rest of the Pergamene kingdom, in 133 B.C. This category covers the cities of Apameia, Hierapolis, Laodicea ad Lycus and more.